They charged the BJP chief of hiding the fact that two plots of land owned by him were being mortgaged by his son Jay for obtaining credit facility. NEW DELHI: The Congress on Saturday said it will approach the Election Commission to demand action against BJP president Amit Shah who omitted to mention liabilities in his 2017 election affidavit. 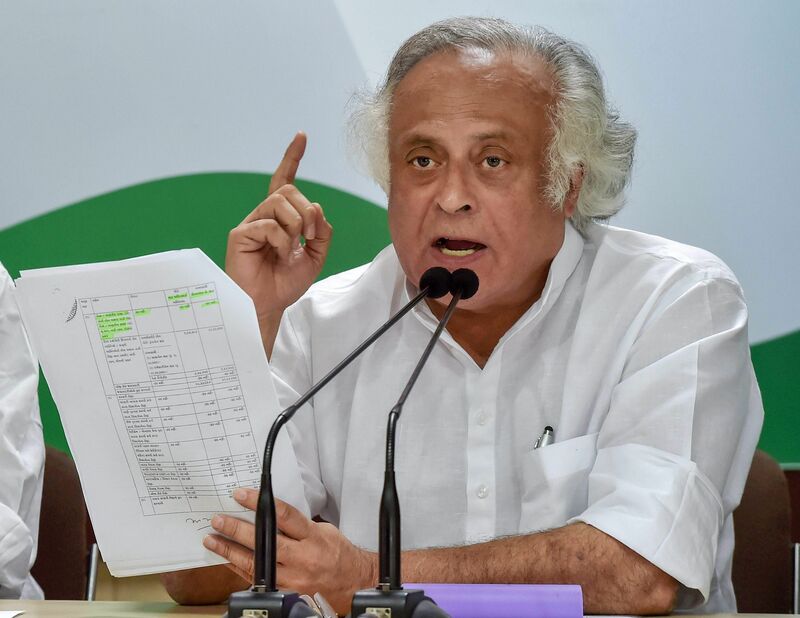 According to Congress spokesperson Jairam Ramesh, Amit Shah mentioned in his Rajya Sabha poll affidavit filed before the EC in July 2017 that he had no liability but his son Jay Shah had obtained bank loans on two plots of land owned by the BJP president near Ahmedabad. "There is no other such example in our country. Kusum Finserve owned by Jay Shah had shown two plots and one commercial building near Ahmedabad as a mortgage against the loans. Amit Shah is the owner of these plots but his son had obtained loans on the properties. This is a liability," said Ramesh. "We want to ask Amit Shah why did he hide that information in the EC affidavit," he said. The Congress leader further said that in May 2017, Kusum Finserv was given a plot of land worth Rs 6 cr on lease in Sanand by the Gujarat Industrial Development Corporation and within a month the company got a loan worth Rs 17 cr from a private bank against the said property. Further, Kusum Finserve, which had no experience in the energy sector, received a loan of approx Rs 10.5 Cr by IREDA (a government enterprise) when Piyush Goyal was union power minister. "This was against the rules of not giving over Rs 5 cr loan to a single person," said Ramesh. Also, Kalupur Bank of Gujarat, a commercial cooperative bank, of which one of the shareholders is Gujarat deputy chief minister Nitin Patel, had given credit worth Rs 25 Cr to Kusum Finserve, Ramesh said. Citing a violation of rules as per the companies act, Ramesh asked: "Till date, Jay Shah's Kusum Finserve had not submitted any annual report to the government. Why?" Citing the case of Temple Enterprises owned by Amit Shah, which made extraordinary profits from Rs 50,000 to Rs 81 cr in one year and then closed down, the Congress leader said he did not believe that Amit Shah and PM Modi were not aware of the wrongdoings. "When questions were raised about BJP President A Amit Shah's Temple Enterprises, it was shut down after turning 16000 times its initial worth. Afterwards another company of Amit Shah's son- Kusum Finserve- was established by mortgaging Amit Shah's properties," added Ramesh.